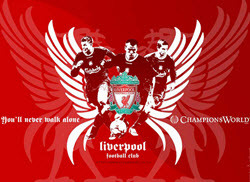 Liverpool FC is one of Englands most sucessfull football clubs. 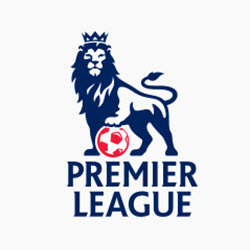 They are currently a part of the premier league where they are consider a part of the “Big four”, the four teams that usually takes the top 4 spots in the Premier League. Liverpool is the only “big four” team that has never won the Premier League. 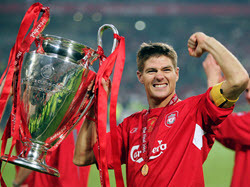 Liverpool have however won a number of European trophies including three UEFA Super Cups, five European Cups, eight League Cups, one UEFA Champions League, seven FA Cups and eighteen League titles from the Football League: First Division, the precurser to Premier League. Liverpool is still a very successful team but their peak was during the 1970s and ’80s. Since then Manchester United has taken over as the dominating team in the Premier League. The team was founded in 1892 by John Houlding. John Houlding was also one of the founding members of the Football League. Houlding was involved in the founding of Everton 1882. He was however to get into a conflict with the Everton committee and due to this conflict he chose to form Liverpool. Anfield belonged to Houlding and Liverpool has been playing the Anfield ever since they where formed. Liverpool joined the football league for the1893–94 season. That year they won the second division and was promoted to the First Division of the football league. 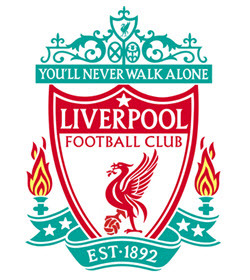 Liverpool won the first division in 1901 and 1905. The team was demoted down to the second division again in the 1953–54 season. The team would not make it back into the First division again until 1962. Everton and Liverpool has been biter rivals ever since Houlding formed Liverpool due to his disagreement wit the Everton committee. 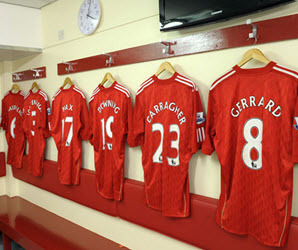 Liverpoool also have a long standing rivalry with the London team Manchester United. In the late 80s English football had a lot of problems with poorly maintained stadiums and spectator violence. There was a period when Liverpool was almost as well known for hooligans, hooligan violence and disasters as they were for good football. Liverpool was involved in two of the most famous football disasters of all times. 1985 Heysel Stadium disaster: This disaster was caused by Liverpool fans charging and causing a wall to collapse. The disaster killed 39 Juventus fans and more than 600 others were injured. In the aftermath of this disaster all English teams were banned from taking part in any European tournament or European game for 5 years. This disaster also played a large role in forcing the reorganization of English football that ended with the creation of The Premier League 7 years later. 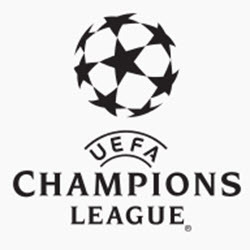 Liverpool was sentenced to an extra 3 years during which they could not enter into UEFA events on top of the 5 year ban due to the fact that it was Liverpool fans that caused the tragedy.The ban that prevented English teams from competing in Europe was originally indefinite but was lifted after 5 years. Except for Liverpool who received an additional 3 year ban as mentioned above.Fourteen Liverpool fans was sentenced to 3 years in prison for manslaughter. 1989 Hillsborough disaster: This 1989 FA cup Semi-final accident caused 96 Liverpool fans to loose their life and another 766 to get injured. The deaths and injuries was cause as the fans were crushed against a perimeter fence due to the pressure from other fans trying to push their way to the viewing area. This disaster has been blamed on the Sheffield police who let to many spectators into the arena and allowed some gates that were normally closed to be open. 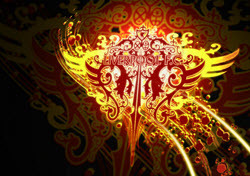 Liverpool as well as English football in general has since then been able to get the problem with hooliganism largely under control and has rebuilt the good name of Liverpool and English soccer. Liverpool remains one of England’s best soccer teams and their last triumph came in 2012 when they won the Football League Cup.